Mommy and Daddy and I have been going on adventures almost since I was born – and yet we didn’t start using my stroller until about 3 months ago. I rode along on Mommy’s chest for my first subway ride, to New Hope, to the Botanical Gardens, the zoo, and to the beach. I’ve also been to rehearsals at Mommy’s school and helped paint the sets from the comfort of my Moby wrap. 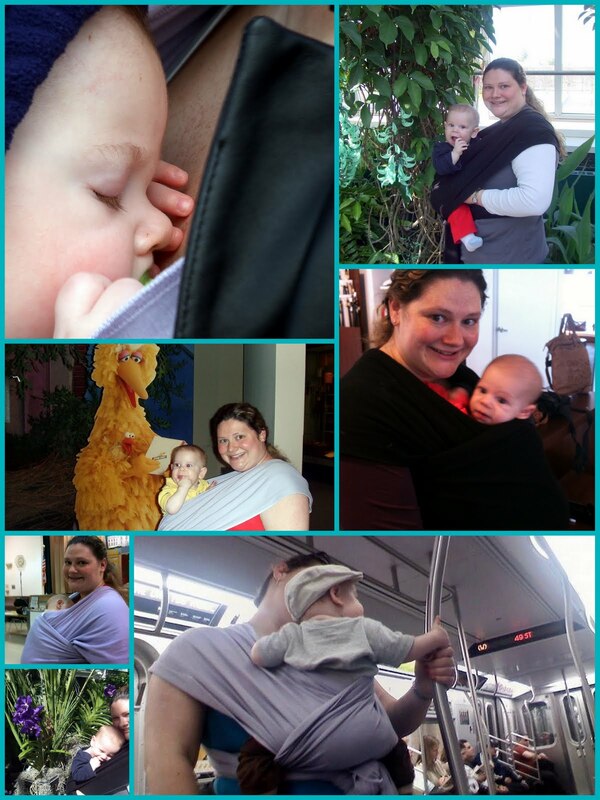 My babywearing obsession started last fall, with the Moby wrap. I had colic and acid reflux and it hurt my tummy to lay down. All I really wanted was to snuggle safe and warm in Mommy’s arms all day. Mommy got a black wrap for her shower and we loved it so much that she ordered a lavender one, too! Way back when I was teeny tiny (or tiniER, at least), the wrap was more comfy for me than the stroller – and it was WAY more convenient. No need to try to steer a big, heavy stroller over bumpy terrain, or navigate it through tight spaces in small shops – and I was happy in there; I could look out when I wanted to, or cuddle in and take a nap when I got tired. As I got bigger and the weather got warmer, Mommy and I started looking at gauze wraps – we were used to wrapping with the Moby, but needed a bit more support and a lighter material. We found the Bali Breeze from Wrapsody (formerly Gypsy Mama), and, later, a GORGEOUS purple wrap from BabyEtte. Nowadays? Our favorite, go-to sling is the Sakura Bloom Essential Silk. It’s easy to get in and out of, versatile, and easy to dress up or down. We just leave it in the car and grab it whenever we need to; who wants to set up the whole stroller just to run into Barnes & Noble for storytime? We also are using our Babyhawk Mei Tai more and more – we’ve finally gotten the hang of back carries AND I’m getting bigger, so it’s more comfortable. We look forward to using it through my toddler years. Our next step is to, hopefully, venture into the world of soft structured carriers – Daddy would *love* to try a carrier that he doesn’t have to tie, and Mommy has heard amazing things about the comfort and ease of the Ergo – anyone want to send us one? Babywearing is an important part of my bond with Mommy. I love to be close to her and we both feel that it’s safer than being in her arms alone – there’s fabric keeping me secure. 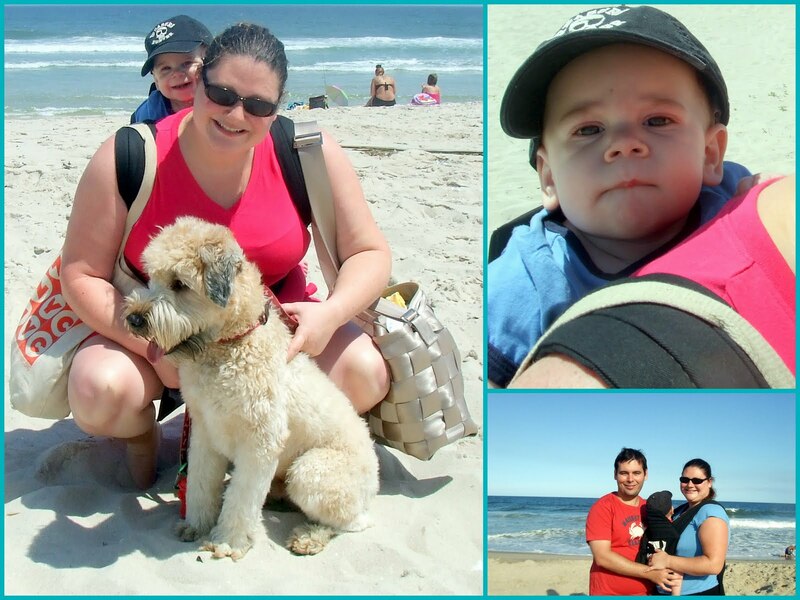 Babywearing has come under attack recently, since the recall of a specific type of bag sling that was determined to be unsafe. 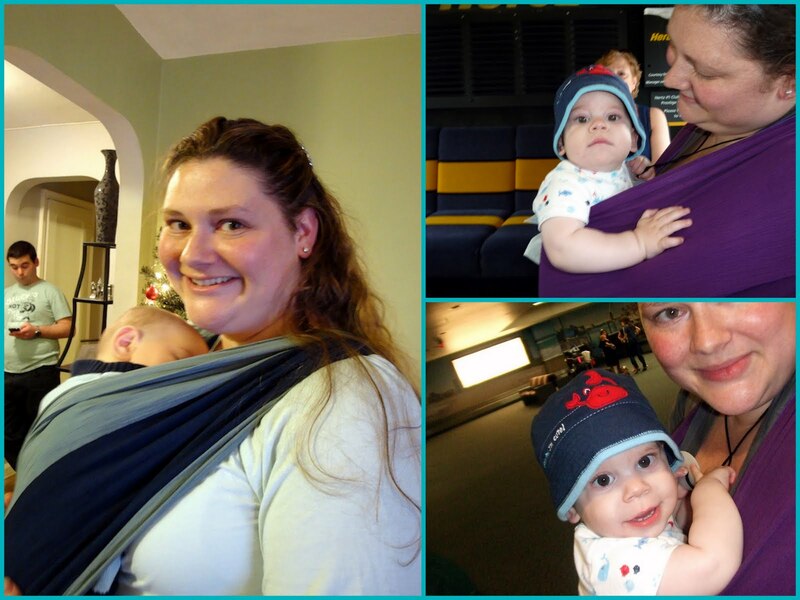 I wanted to add my voice to the thousands of other families who have had amazing positive experience with slings and wraps and carriers and lend support to the manufacturers and small businesses that craft them. 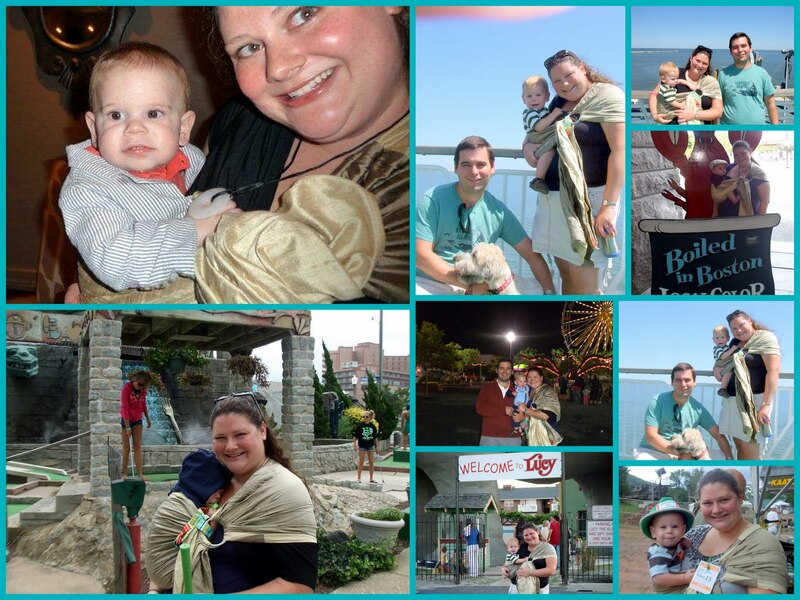 For more information, check out adventures in babywearing and the BCIA Facebook page. P. S. It’s raining today, so Harmony and I are postponing our toddler zoo trip adventure until next week – Tuesday, October 12, for anyone who’d like to meet up! We're going to the zoo on Thursday for Gray's bday, and that silk sling is beautiful! Cole, your mommy is more talented than I am! I have so much trouble with my Moby Wrap and only when I was having Mason's daddy take some pictures of us did I realize he was HANGING OUT OF IT ABOUT TO FALL and now I'm scared for life. And I know the Bjorn is not nearly as comfortable for Mason as the cool wraps like your mommy uses! Why can't the Ergo Fairy visit us both?!!? Oh! Your Mommy is rather talented to slide you around from her hip to her back! Sounds pretty easy, so I will have to try that sometime with my little girlie. Not needing a chair/couch/bed would be so handy! Great! Your Mommy is soooo nice to make sure you have such a great carrier collection, and for keeping you close! And I love your photo collection. So many great photos of all your carriers! Thanks for linking up! The picture of you guys on the Subway is the best 🙂 This makes me wonder about back-carrying. We have an Ergo and I wonder if my boy is ready! Also- we got our Ergo for almost half off via one of the babysteals/babyhalfoff daily deals 🙂 It was worth it!